VATICAN CITY (CNS) — Pope Francis called for an end to violence in Nicaragua after several days of protests against proposed social security legislation led to the deaths of more than two dozen people. “I express my closeness in prayer to that country and I am united with the bishops in asking that every form of violence end, that a pointless shedding of blood be avoided and that open issues be resolved peacefully and with a sense of responsibility,” the pope said April 22 after praying the “Regina Coeli” prayer with pilgrims gathered in St. Peter’s Square. The pope said he was “very worried about what is happening these days in Nicaragua,” where citizens took to the streets beginning April 18 after the government announced changes to the nation’s social security system. The proposed overhaul, which would have increased pension contributions while reducing benefits by 5 percent, was scrapped by Nicaraguan President Daniel Ortega April 22. Ortega has been heavily criticized for his handling of the crisis, which led to the deaths of 25 people. But despite criticism of the overhaul coming from business leaders, university students and elderly pensioners, the president publicly blamed right-wing groups for the inciting violence. Outrage spread after a local journalist, Angel Gahona, was shot and killed while broadcasting the protest on Facebook Live. A police officer was also shot in the head during deadly clashes in the Nicaraguan capital, Managua. 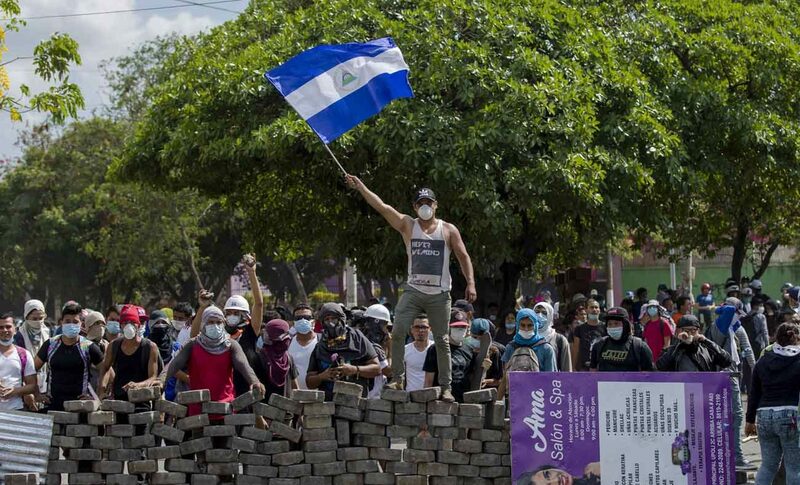 Nicaragua’s Catholic bishops called for peaceful demonstrations and sheltered protesters in the cathedral of Managua. Auxiliary Bishop Silvio Jose Baez of Managua has been outspoken in his support of student protesters who have been targeted. In an April 22 tweet, he urged the president to engage in constructive dialogue. “President Daniel Ortega, abandon your arrogant attitude, listen to the people, embrace dialogue with sincerity, feel the pain of so many families and contribute to peace in the country,” he tweeted.